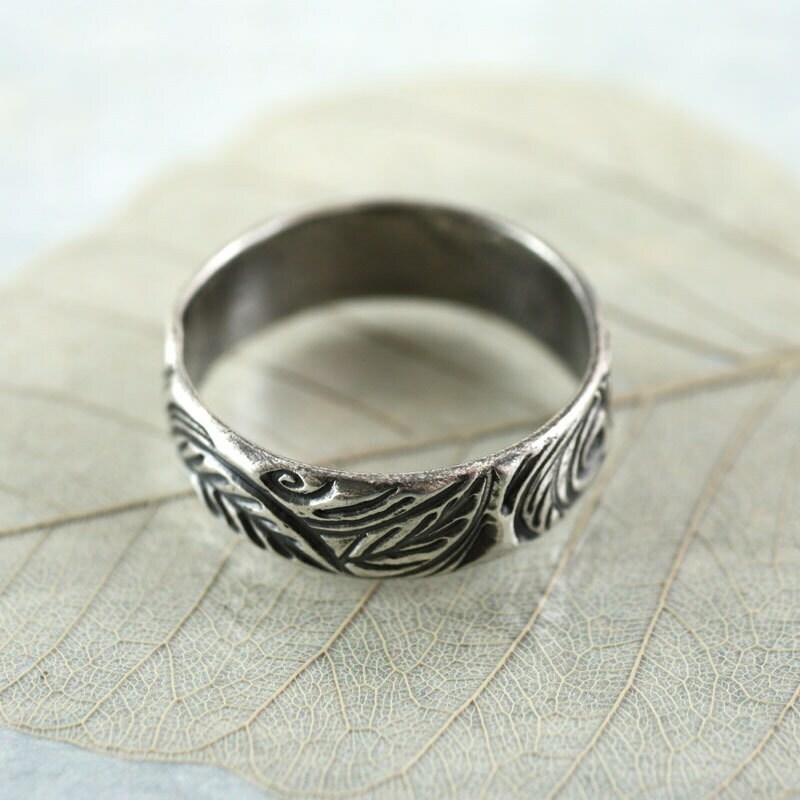 "The dryads gave him a token of their agreement. He would choose one among them unless he found the girl he sought. Nenya secretly hoped he had already decided upon her. The ring was of her making." 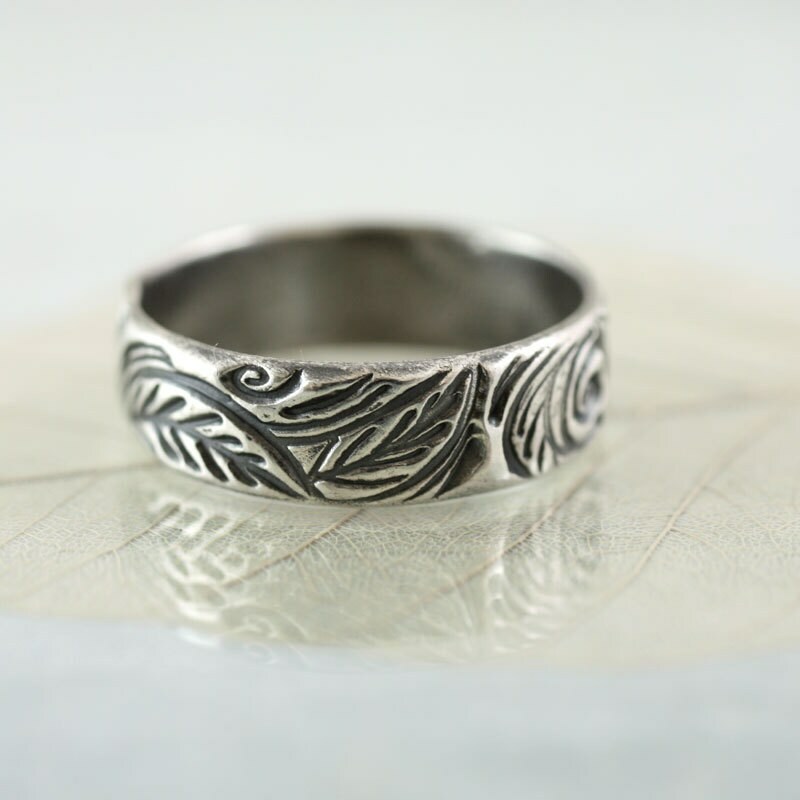 Rustic ring impressed all around with leaf and tendril. 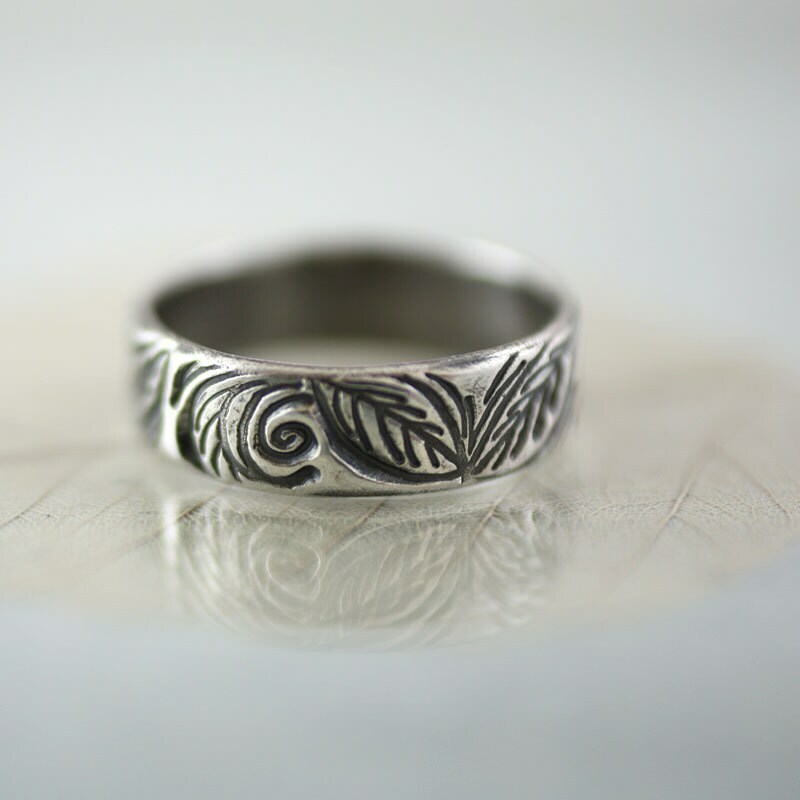 The sterling is about 1 mm thick and 5 mm wide. 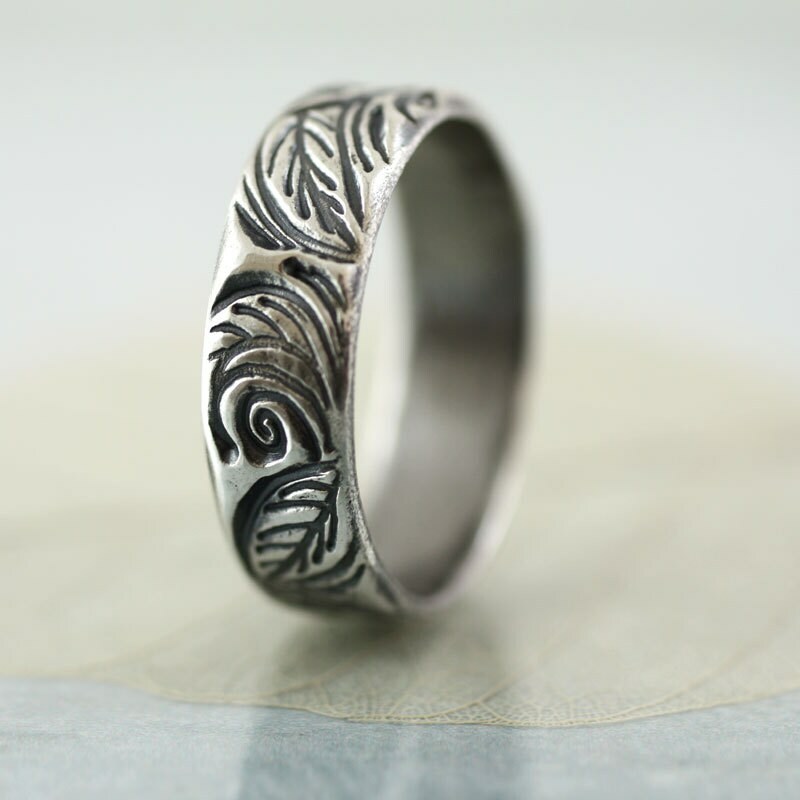 I have oxidized it to emphasize the graphic pattern and then polished the ring to a high shine. A symbol of abundant nature around us - Unruly, regenerating and life-giving. 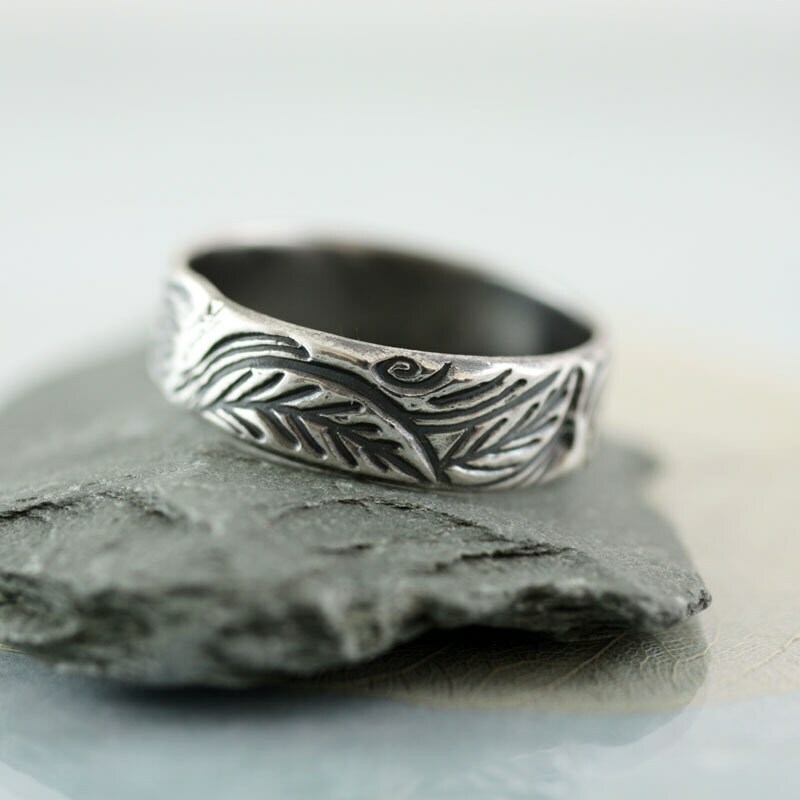 Made to order in all ring sizes up to 9. 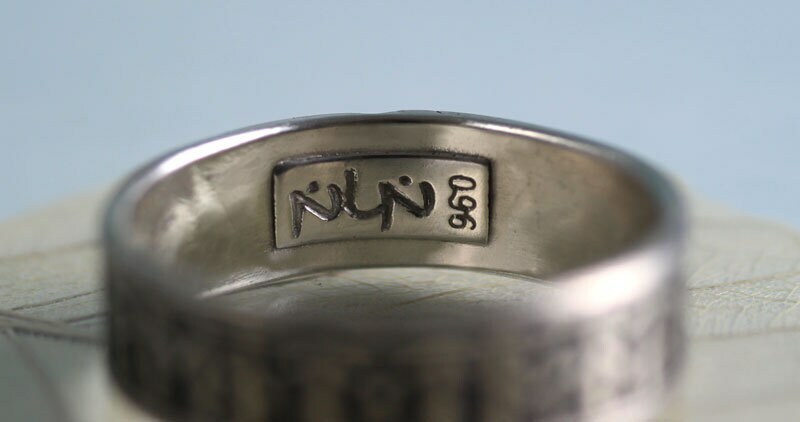 If you don't know your US or UK size, just measure the inner diameter of a ring you already have and let me know (in the note to seller). Will arrive ready gift-wrapped in a cute little ribboned box .